Al Saha offers fresh and authentic arabic and middle eastern food. Dearborn's best! Wide menu selection, all food halal. Eat in or take out. Delivery available. While tasty and flavorful, middle eastern cuisine is fresh, balanced, and free of most artificial ingredients. Al Saha middle eastern restaurant menu includes a variety of soups, fresh salads, chicken and fish. Use your imagination and our large menu to create a healthy and satisfying breakfast, lunch or dinner for one, for a family dinner or any function, however large. 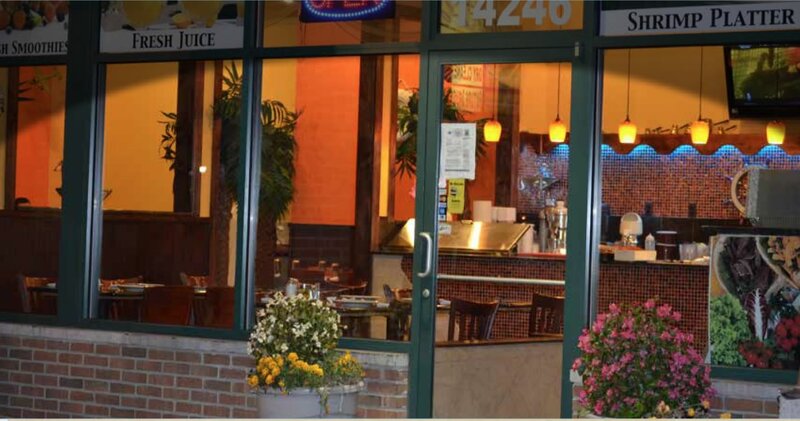 We’ve been in your neighborhood serving delicious arabic food for over 10 years. Stop by today for dining in, takeout or order for quick delivery. We are looking forward to being your Dearborn middle eastern restaurant of choice when it comes to delicious and tasty arabic and middle eastern food. Great place to eat at in Dearborn. If you are in the mood for some grilled meat, shish tawook, kafta and some tabouli, with great garlic paste and tasty hummus. The serve also raw meat and fresh onions, if you don't leave stuffed than something is wrong, try the family tray it's awesome! Al Saha is my favorite Arabic restaurant in Dearborn. Everything comes in large proportions for a low price. The ambiance of the restaurant is amazing and attractive. The service is awesome and they will go out of their way to make everything the best for you. The food is fresh, the restaurant is clean and the owners are some of the nicest people ever. You will not be disappointed if you go there. In fact, I bet you will return! I ordered a lot of food for a meeting. The food was delivered right on time, still hot and it was very reasonably priced. They have very yummy hummus and excellent grape leaves. The tawook and chicken shawarma sandwiches were also delicious. Will definitely be back. We were visiting the area and tried this restaurant based on reviews. The food and service was excellent! Very authentic Arabic food! Portions were exceptional for the price! The restaurant is very clean and well kept! We highly recommend this place!